This is one of the most anticipated events in 2019 in Cameroon and even across the African continent a little ahead of the Cameroon Travel awards that will take place in January of the same year. 2019 will be an event year in the land of the Indomitable Lions. The calendar announces, for example, the holding of the 7th edition of Promote, the first international exhibition of the company in Central Africa. The Hommage d'Or event, the Cameroon Travel awards by Jumia Travel and the Canal d'Or, the prestigious award ceremony for cultural actors, are also announced. Annual show, the first event dedicated to the model Black, is also part of the events on this list. But the African Cup of Nations (CAN) remains the biggest event to be held in Cameroon and throughout the African continent in 2019. 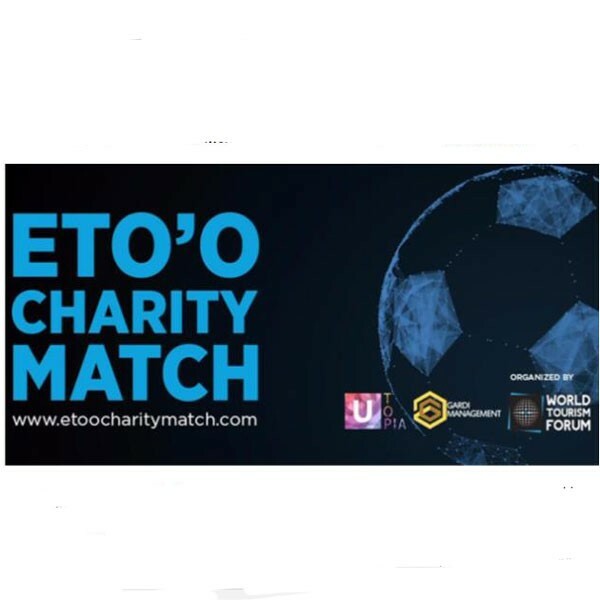 Among these events that will make the Cameroonian flag shine internationally in 2019, there is Eto'o Charity Match, the event of the former captain of the Indomitable Lions. The new member of Qatar Sport Club announced a few weeks ago during his visit to Abidjan, where he was on a working visit to the Ivorian parliament. He said then that the first edition of his gala called the "Eto'o charity match", aborted in 2016 in Turkey because of a failed coup attempt, will take place in 2019 in Cameroon. The "Eto'o charity match" gala, set up by the 37-year-old footballer, through his "Samuel Eto'o" Foundation, aims to help young Africans realize their dreams, "he explained, adding that Football Day will be held "before the start of each Africa Cup of Nations". The funds raised during this gala will be used to build sports facilities across the continent, as well as to accompany the Confederation of African Football (CAF) ", affirmed the international Cameroonian.Samuel Eto'o who gave the details of his event at the end of a working session with Ivorian deputies in the National Assembly of Côte d'Ivoire in the presence of the president of this institution, Guillaume Soro. "The first Eto'o charity match, which will bring together many football stars and politicians from around the world, will take place in 2019 in Cameroon and the second in Côte d'Ivoire, during the CAN 2021", said Mr. Eto'o. "It is announced as indicated, many sports stars like Puyol, former captain of the national team of Spain alongside him, we talk about his teammate Valdez or Peter Okoye, one of the leaders of the P-Square group. But the big attraction of this meeting is Usain Bolt, one ten times (11 times) world champion of the 100 meters, who has already confirmed his presence in a video recorded alongside the goleador Cameroonian.